Now it´s time to note the date for this year’s announcement: March 26 at 1:00 pm! Then one (or several) of the 207 nominated candidates will be revealed as the 2013 recipient. The announcement will be broadcast live on our web and streamed to the Bologna Children’s Book Fair, which is the world’s most important international event dedicated to children’s literature. 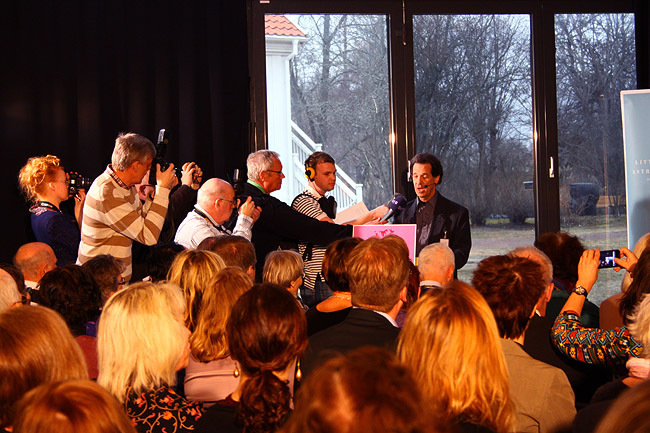 The announcement will take place in Vimmerby, a small town on the countryside in the southern parts of Sweden. Announcing the recipient at Näs is symbolic, of course. Astrid Lindgren was born here more than 100 years ago. Her childhood at Näs has been described as very happy, she often played games with her three siblings in the playground on the Näs property. The cultural centre Astrid Lindgren’s Näs is situated next to Astrid’s childhood home, and here the chairman of the jury, Larry Lempert, will reveal the recipient or recipients name after the final jury meeting in the morning of the 26th. At the same time, a press conference takes place at the Illlustrator’s café at the Bologna Children’s Book Fair, where the announcement from Vimmerby is broadcast on a screen. The audience consist of international trade representatives, literature experts, reading promoters, authors, illustrators, journalists etc etc. The tension is usually excruciating minutes before the announcement. Could it be that the recipient or a publisher is actually sitting in the audience? 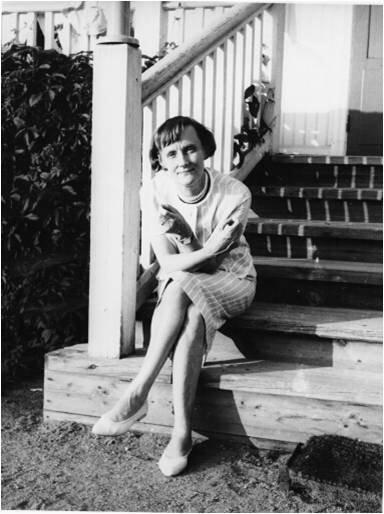 Astrid Lindgren at the stairs of her childhood home at Näs. 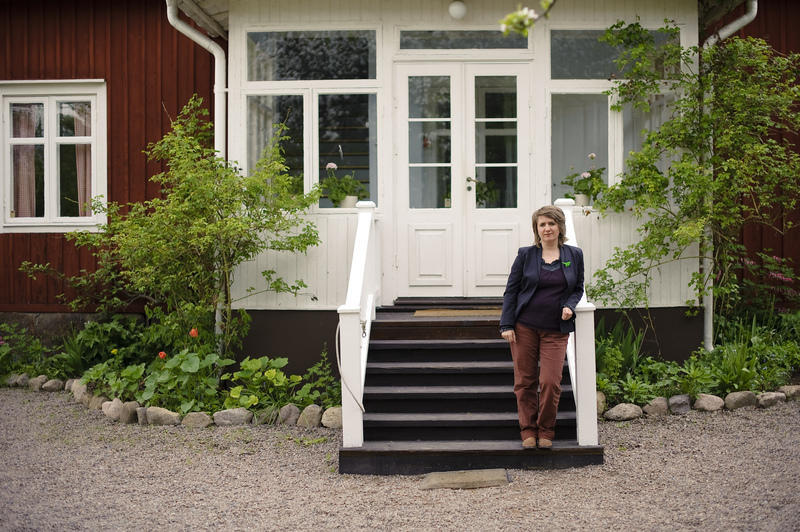 Kitty Crowther (2010 recipient) at Näs, during the 2010 award week. Photo: Stefan Tell. Näs again, this time with Guus Kuijer (2012 recipient), Maria Tunek (left), librarian at Näs, and Corrie Kuijer. Visiting Näs was part of the 2012 award week programme. Photo: Stefan Tell. Guus Kuijer’s publisher Bärbel Dorweiler was sitting in the audience! 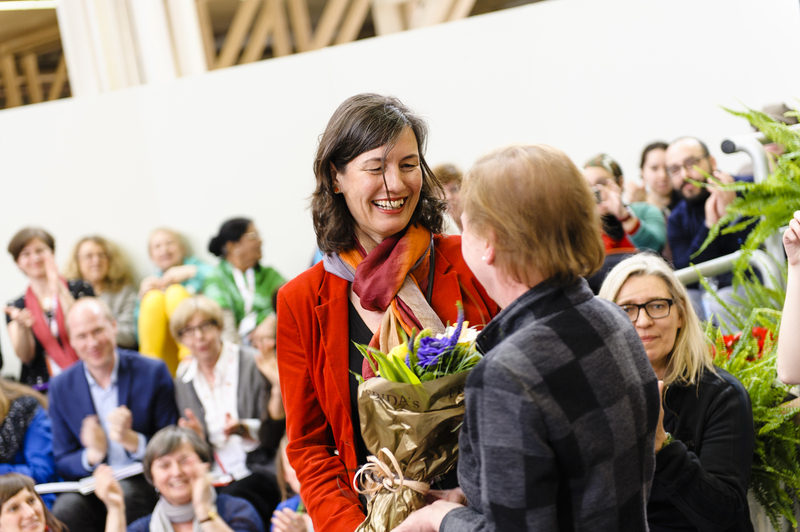 She was congratulated by ALMA director Helen Sigeland. Photo: Stefan Tell. Café Pilgatan is not just any café. A quite small café with narrow premises, situated in Umeå in the northen parts of Sweden, what´s so special about this? Well, according to Swedish National Television, Sweden’s foremost writers are in fact queuing up to come to this small café. Because beside the ordinary café business, there are extensive reading promotion activities going on: visits by authors, social debates, café evenings, education , exhibitions, literary tours – often focusing on children’s and young adult literature. This year, the café turns five years and has got attention in the Swedish media. Annika Edlund, children’s librarian, reading promoter and member of the ALMA jury, is one of the initiators behind Pilgatan. 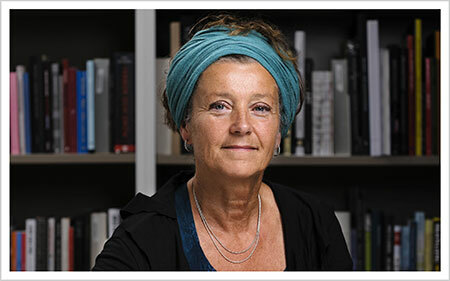 – We want this to be a living room for literature and when people from here go to Stockholm or Gothenburg Book Fair and meet with writers and intellectuals, many of them already know about Pilgatan, says Annika Edlund to Swedish National Television. 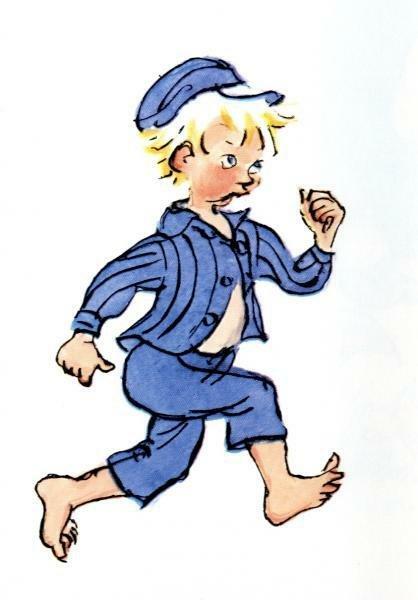 Many of you know that Astrid Lindgren’s mischievous little character Emil turns fifty this year. The first book about Emil was published in 1963, and so far the books about Emil and his family in the Småland countryside at the beginning of the 20th Century have sold over 30 million copies worldwide, and have been translated into 52 languages. Several films about Emil were produced during the 1970s. And now it´s time for a new generation of children to meet Emil on screen. Right now an animated family film is being produced by Filmlance and PennFilms. 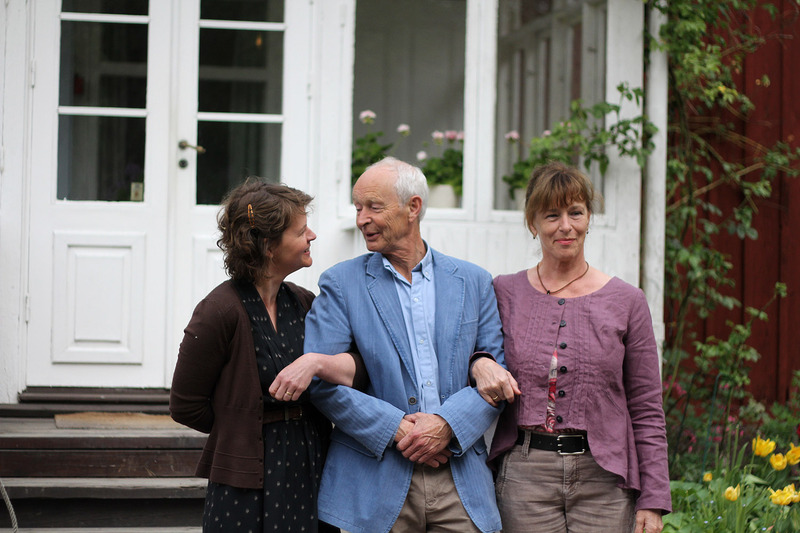 “Emil and Ida in Lönneberga” (the Swedish title, our translation), directed by Per Åhlin, will have its Swedish premiere during Christmas 2013. Emil is the character that Astrid felt the greatest affinity with. But Emil also has things in common with Astrid’s dad, Samuel August and her brother Gunnar. More about Emil here. Minutes before the announcement of the 2013 recipient (Guus Kuijer). Pressconference at the Illustrator’s Café, Bologna Children’s Book Fair. Photo: Stefan Tell. The nomination process for 2014 was launched today, and now the effort to find next year’s award recipient begins. 401 bodies from around the world are invited to nominate candidates. 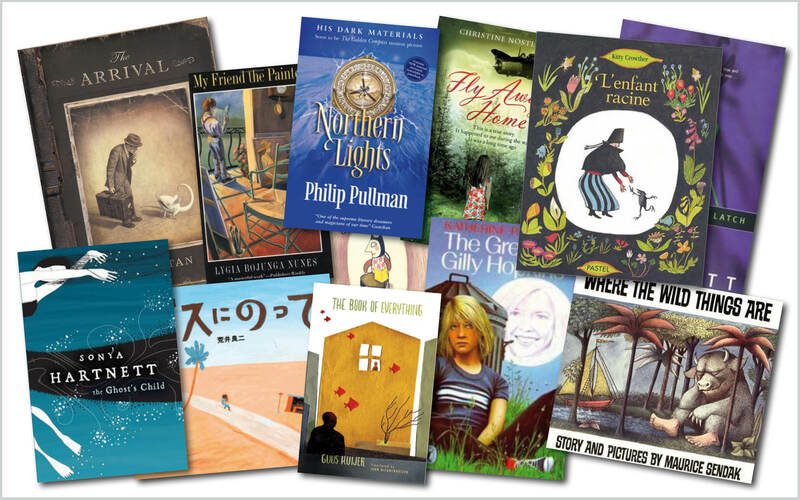 Among the nominators are international, national and regional groups such as organisations and research institutes connected to children’s and youth literature and projects to encourage reading, but also previous recipients. 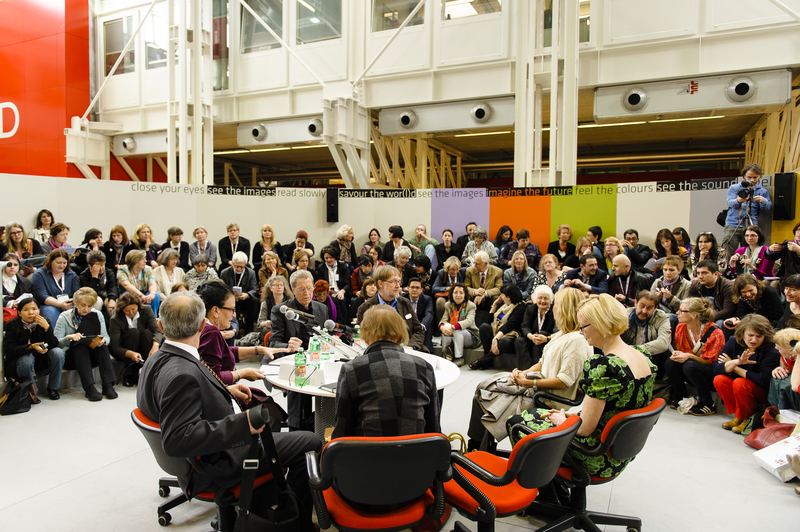 The nominated candidates for 2014 will be revealed at the Frankfurt Book Fair in October. Link to complete list of nominating bodies for 2014 here. Today, we launch reading guides for twelve works by ten previous recipients. The reading guides contain an introduction of the author, description of the contents, a suggested interpretation and topics for discussions. They can be a really good way to get under the surface of our recipient’s books. Many thought-provoking questions are put forward, such as Does the reader feel sympathy with the man in the story, and if so why? (The arrival) Why is it so important for Gilly to do well at school and come top in all the tests? (The Great Gilly Hopkins) There are different kinds of friendship – one is the kind between an adult/old person and a child/young person. How does such a friendship differ from one between people of the same age? (My Friend the Painter). – The Astrid Lindgren Memorial is not just an award focusing on a specific writer, illustrator or organisation when the award is presented, it is an ongoing reading promotion project. We are promoting the best books in the world for young people in as many ways as possible. Hopefully these reading guides will inspire teachers and librarians to include these books in curriculums, reading clubs and workshops. And maybe they can give publishing houses ideas for translations! The guides are based on the following books: Where the Wild Things Are by Maurice Sendak, Maikäfer, flieg! (Fly Away Home) by Christine Nöstlinger, O Meu Amigo Pintor (My Friend the Painter) by Lygia Bojunga, Northen Lights by Philip Pullman, Basu ni Notte by Ryôji Arai, The Great Gilly Hopkins by Katherine Paterson, The Ghost’s Child by Sonya Hartnett, The Devil Latch by Sonya Hartnett, Alors? by Kitty Crowther, Lénfant Racine by Kitty Crowther, The Arrival by Shaun Tan and Het Boek Van Alle Dingen(The Book of Everything) by Guus Kuijer. The reading guides are written by members of the jury who are experts in children’s and young adult literature. This is Henry Archibald Mintox, a spectacularly unsuccessful inventor and therefore largely unknown to the public. Mintox loved automation almost as much as his own family, who nevertheless had to deal with the constant threat of robot counterparts. 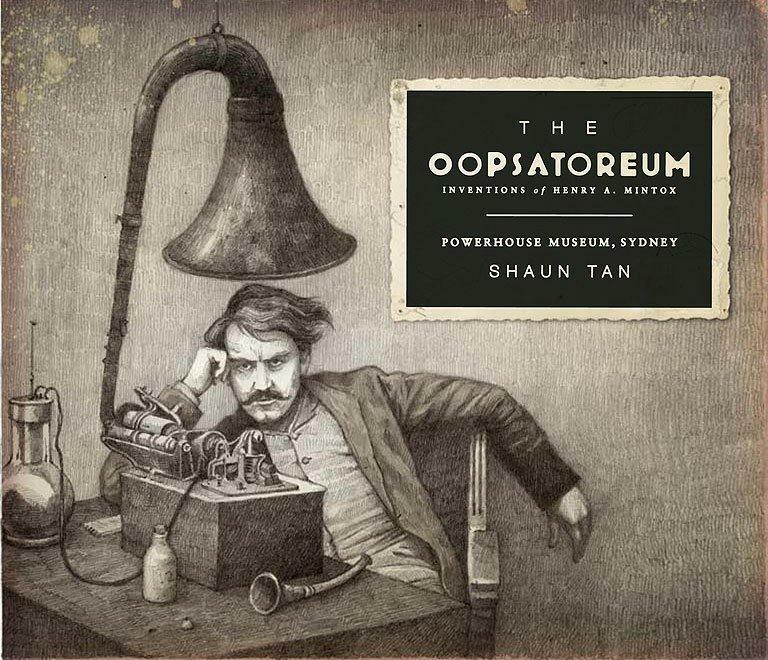 Examples of Mintox’ failed innovations can be seen in The Oopsatorium, an exhibition at the Sydney Powerhouse Museum, Australia, which will open during mid 2013. Among the exhibits are not only mechanical dog and a prototype laptop messenger, but also a few of Mr Mintox personal items, including the 1927 Austin Tourer that he planned to drive to Tasmania and the fat suit he wore to impress his audience at a lecture in the midst of the Great Depression. The character of Mintox is in fact made up by the 2011 ALMA recipient Shaun Tan, as part of a collaboration with the Sydney Powerhouse. The project involves fictional histories of real objects from their archives, and explores the vast cemetery of achievement that lies behind every enduring innovation. It questions many assumptions we might have about ingenuity. What does it mean to be truly original? Should creativity be measured only by success? Or is it really the thought that counts … no matter how impractical? – Beneath the silliness of the project there is actually an important observation: all invention begins as a daring act of imagination, and beings with a play of outlandish ideas. For every success that filters into daily use, there are countless failures that are as important a testament to creative spirit.